The transfer of sediments in catchments controls the morphodynamic development of hillslopes, river channels, and floodplains. The transfer of fine sediments in particular also plays a crucial role in catchment ecosystems as it affects water quality and biogeochemical cycles by supplying or removing nutrients and contaminants, providing substrate for organisms, and directly influencing light climate in surface waters. The extent to which sediments affect catchment ecosystems is largely determined by the rate at which sediments are delivered to surface water bodies, the residence time of sediments in catchments, as well as biogeochemical transformation processes. Human activities have altered the quantity and quality of fine sediment in rivers (Owens et al. 2005). In general, these activities have increased the delivery of fine sediments to rivers through accelerated soil erosion, but reduced the global sediment flux to the coastal ocean through retention in reservoirs (Owens 2005; Syvitski et al. 2005). Understanding the nature and rates of the processes controlling sediment and associated contaminant transfer in catchments and river basins is essential to make informed decisions on the management of rivers in general and the prevention or mitigation of hazards related to soil erosion, water quality, or flooding in particular. However, the dynamics of sediment and contaminant transfer are highly variable in space and time due to the complex and often non-linear processes involved. The responses of sediment and contaminant transport to environmental change or disturbance are therefore not straightforward (Owens et al. 2010), which hampers an adequate evaluation and prediction of such responses. Research in the field of sediment and contaminant transfer in catchments finds its origin in studies of sediment transport and budgets in the 1960s and 1970s (e.g. Guy 1964; Holeman 1968; Dietrich and Dunne 1978; Bogen 1980). In the same time period, other studies demonstrated the usefulness of tracers, first radionuclides (Perkins et al. 1966; Ritchie and McHenry 1975), and later heavy metals (Wolfenden and Lewin 1978; Nriagu et al. 1979), for identifying the sources of sediment and for tracking sediment through river systems. In the 1970s, concerns about deteriorating water quality extended the research interest to sediment transport in catchments, as sediment was considered itself as a contaminant and its role as a carrier for other contaminants, such as metals and nutrients, was increasingly acknowledged (Stall 1972; Williams 1975; Karr and Schlosser 1978). The increased knowledge of processes involved in the catchment-scale transfers of sediments and associated contaminants led to the development of a range of conceptual and physically based models of sediment and contaminant transport (e.g. Young et al. 1989; Malmon et al. 2003; Owens 2005; Davison et al. 2008; Armour et al. 2009; Neitsch et al. 2011). Yet, despite the ongoing stream of publications in the field of sediment and contaminant transport, the lack of sufficient field data and adequate descriptions of governing processes persist to be the major limitations to applying these models. Therefore, the quest for empirical data to gain an understanding of these processes and to improve the models remains topical. This special issue contains a selection of papers that were presented at the HS9.3/SSS2.32 session on ‘Transfer of sediments and contaminants in catchments and rivers’ at the General Assembly of the European Geosciences Union (EGU GA) in Vienna in 2016, which was organised by the authors. This session was one of a series of sessions organised at the EGU GA since 2011 bringing together scientists from many subdisciplines of Earth science, including hydrology, soil science, geomorphology, and geochemistry. The majority of the contributions to these session focused on the sources and fate of sediments and contaminants, the remobilisation of legacy contaminants in river systems, and the response of sediment and contaminant dynamics to changing boundary conditions. These topics reflect the recent trends and advances in this interdisciplinary field of research. Here, we provide a brief synthesis of the papers in this special issue in the context of these recent advances. Four papers of the present special issue are related with sources and fate of sediments and contaminants, from sediment sources identification, e.g. via fingerprinting techniques, to quantification of sediment and contaminants retention and trapping in different compartments of the fluvial system. García-Comendador et al. (2017) applied radionuclide tracers (i.e. 137Cs and 210Pbex) to recognise the first post-fire flush effect on the source ascription of bed sediments temporarily stored in a Mediterranean stream severely affected by a wildfire. It is well known that first flushes can be crucial to sediment transport in dryland Mediterranean fluvial systems, especially after catastrophic disturbances (e.g. wildfires) when storm flows may enhance runoff delivery to channels, hence increasing such first-flush effects. The authors found that bed sediments were mostly generated (67%) on burned hillslopes because of the fire’s effect on soil and sediment availability, the high-intensity rainfall, and the limited contribution of channel banks as these are fixed by dry-stone walls. Such a hydro-sedimentary response indicates a clear association between the factors which drive the erosion and the sediment delivery thus generating a totally effective slope-to-channel sediment connectivity. It must be highlighted that the study is independent of the long-term monitoring that the research team is carrying out in the catchment; however, the integration of the short-response with the medium and long-term analysis will allow for the analysis of the evolution of catchment sediment sources in future studies, determining if fire modifies the catchment sensitivity to that specific disturbance. The next two papers carry out a thorough analysis of the historical contaminants deposited in different river systems of East Europe, an area dramatically affected historically by different anthropogenic impacts. Grygar et al. (2017) described the historical deposition of contaminants from metal mining and metallurgy (mainly Cu, Pb, Sn, U, Zn) in the Ohře River (Czech Republic). Contamination has entered the river system, during the previous five centuries, through its middle reach, where the channel is incised and bedrock-confined, hence impeding overbank deposition. Three former channel bars that have coalesced with the riverbank were examined, revealing that they have trapped sufficient sediment to produce a record that correlates with the history of contamination in the drainage basin. The amount of contamination (i.e. Cu, Pb, Sn) passing through the river channel associated with the pollution climax of the sixteenth and seventeenth centuries is remarkable, while modern contamination (i.e. Hg, U) deposited in the nineteenth and twentieth centuries was entrapped with a much lower efficiency. Therefore, the approach used in the study, which has allowed the bar deposits to be correlated with the local mining and pollution history, may be applicable to other montane rivers with historic ore mining and processing in their basins. Grba et al. (2017) provide a complete picture of the geochemical character of the sediments deposited in the eastern Posavina region (Serbia). Results show that all the analysed sediments contained higher heavy metals concentrations than the upper continental crust, suggesting dynamic natural and anthropogenic processes. From the different indexes which were calculated to classify the substances, it can be highlighted that the geo accumulation index (Igeo) classified the pollution risk due to Cr as strong, Cd, Zn, and Hg as moderate to strong, and Ni as moderate, while a principal component analysis (PCA/FA) grouped the substances differently, with anthropogenic activity found to be responsible for much of the Hg, Cd, and Cr pollution present in the sediments. Consequently, several different substances have been found to be of great interest for the Posavina region; therefore, these parameters must be the focus of future monitoring programs, in support of appropriate remediation techniques and/or dredging activities. These are required in order to comply with the new Serbian regulations and the relevant EU recommendations. 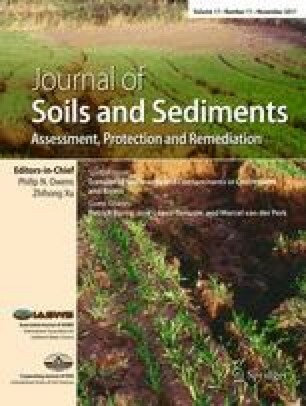 The remaining paper of this section deals with the different mechanisms controlling the erosion and sedimentation processes in a freshwater tidal wetland, knowledge that is vital for the proper assessment of the effectiveness of delta restoration techniques. Accordingly, Van der Deijl et al. (2017) identified the factors controlling the sediment trapping of two newly created freshwater tidal wetlands under varying conditions of river discharge, tide, and wind in the Netherlands. A positive sediment budget and trapping efficiency was found where there was a continuous supply of river water and sediment, while sediment was lost where the wetland lies further from the river and had a lower sediment supply. The daily sediment budget was positively related to upstream river discharge, with export taking place during ebb and import during flood periods. However, strong wind events overrule this pattern. Therefore, for an effective delta restoration process, managers need to enhance the trapping efficiency of the incoming sediment by directing sufficient river flow into the wetland, ensuring the supply of water and sediment within the system during a tidal cycle. In this way, a sufficiently large residence time of water within the polder areas for sediment settling will be created, hence decreasing wave shear stress by the establishment of vegetation or topographic irregularities. Three of the papers focus on the remobilisation of legacy contaminants (trace metals) by physical and biogeochemical processes. These three papers can be broadly categorised as addressing contamination issues in headwater and urban catchments. Shuttleworth et al. (2017) studied Pb storage in degraded peatlands in the Peak District National Park, UK, and the mechanisms controlling sediment and Pb transport. Lead contamination of the peatlands is the result of anthropogenic pollution during the Industrial Revolution which has been exacerbated by land use and climate change pressures. The authors found erosion of interfluve areas is exposing high concentrations of Pb (up to 1660 μg g−1) and a variety of physical factors, including vegetation, wind action, aspect, and gully depth, are apparently controlling Pb storage and release. Crucially, vegetation appears to play an important role in retaining Pb-contaminated sediment while wind action has been identified as a new potential vector for metal transport in peatland environments. The two remaining papers in this theme address the issue of trace metal contamination in the predominantly urban catchment of the River Mersey, UK. The River Mersey drains the historical industrial cities of Liverpool and Manchester, as well as numerous other smaller towns and cities, and papers in this special issue highlight the persistent nature of trace metals in this region. Hurley et al. (2017) investigated sediment quality across the Upper Mersey and Irwell catchments. Despite recent improvements in water quality, there remains widespread contamination of river sediment with trace metals and metalloids (e.g. As, Cr, Cu, Pb, Zn) across northwest England. Source apportionment through multi-variate analyses points to a complex network of point sources across the catchment and in particular highlights the role of the textile industry on Cu concentrations. Chemical mobility of metals in the sediments is considered low which may explain the improvements in water quality. Nevertheless, the polluted sediments remain an environmental risk and a barrier to healthy ecological communities. Byrne et al. (2017) focussed on the environmental mobility and long-term fate of Cr in sediments from an urban water body in Manchester, UK. The Salford Quays and the Manchester Ship Canal were constructed in 1894 to provide access for ocean-going ships to the heart of Manchester. It is part of the River Mersey catchment through its connection to the River Irwell. Despite recent improvements in water quality of the Manchester Ship Canal, there remains a significant legacy of metal contamination in the canal sediments. Specifically, the authors considered the biogeochemical cycling of Cr in the Salford Quays sediment. A combination of geochemical and mineralogical analyses revealed high concentrations of Cr in the sediments (133,400 μg g−1). However, the dominant Cr species was found to be Cr(III), a relatively inert form, suggesting limited bioavailability or toxicity. The environmental conditions in the sediment (anoxic, neutral pH) favour the existence of Cr(III). However, future re-working of the sediment could re-mobilise Cr as the carcinogenic form, Cr(VI). Finally, the last section includes two papers addressing how changing the boundary conditions (i.e. global change understood as the combination of climate change and land use changes, either from a natural or an anthropogenic origin) of river catchments can alter the sediment and associated contaminants transport processes and spatiotemporal dynamics. The first paper by Herrero et al. (2017) applied the hydro-sedimentological TETIS model to evaluate the effects of global change on the water and sediment yield in a large mountain catchment of Spain. Quantification of water and sediment yield in river catchments is very complex due to the different physical processes involved, especially in the light of current global change, but results vital for all the environmental problems which can be related with, as well as for water storage and hydropower infrastructures. Climate scenarios show a general decrease in average annual precipitation and an increase in temperature and extreme rainfall events; these in conjunction with the global change scenarios lead to a counteracting effect between the increase in sediment transport during extreme events and the decrease in sediment erosion associated with afforestation following the abandonment of agricultural land. Such modelling exercises, besides emphasising the potential of the models as a tool for evaluating water and sediment yield for large catchments, provide crucial data for water and sediment management in light of future climate and land use change scenarios. The last paper, by Lynch et al. (2017), studied the potential for remobilisation of trace metals in floodplain soils in a mining-impacted headwater catchment in central Wales, UK, as a consequence of climate change. The UK has a substantial metal mining legacy that has resulted in widespread contamination of river catchment soils and sediments with trace metals such as Zn and Pb. Specifically, the authors investigated the potential role of climate change by studying the effects of predicted hydro-meteorological extremes (floods and droughts) on the biogeochemical cycling of Zn between riverbank sediments and stream water. Through a series of controlled laboratory column experiments, the authors found accumulation of soluble Zn sulphate minerals during simulated droughts was followed by the release of high concentrations of dissolved Zn during the first flood wetting. For prolonged flood periods, reductive dissolution of Mn (hydr)oxides released partitioned Zn to dissolved phases in pore waters. Subsequent drying of the sediment caused oxidation and precipitation of Mn (hydr)oxides and sorption of Zn. Diffusion of mobilised Zn from riverbank pore waters was calculated to have a significant effect on stream water quality. This research highlights the transient nature of Zn contamination in mining-impacted catchments and the environmental risk posed by the predicted effects of climate change. This volume presents innovative methods and case studies to analyse, quantify, and model the transfer, deposition, and remobilisation of sediments and contaminants in river catchment transfer processes from the micro to the macro scale, from Mediterranean drylands to temperate regions, and from pristine-mountainous to urban areas. Transport processes between the main landscape components, i.e. hillslopes, river system, reservoirs, and wetlands/deltas, as well as the different remobilisation mechanisms by physical and biogeochemical processes are addressed. The research results enhance our process knowledge, methods of data analysis, and modelling capability of sediment and contaminants fluxes in the fluvial environment. Results partly address the spatial scales relevant for water and land management, therefore also informing the sustainable use and management of water, sediment, and soil resources. We would like to offer a special thanks to Phil Owens (editor-in-chief) for supporting our proposal for a special issue and for offering valuable suggestions for improvements throughout the editorial process and Moira Ledger for her technical and editorial assistance. We would also like to thank all of the authors for submitting their work to this special issue and the reviewers for their time and comments that improved the quality of the published papers. During the elaboration of the present volume, the first author was in receipt first of a Marie Curie Intra-European Fellowship (Project ‘Floodhazards’, PIEF-GA-2013-622468, Seventh EU Framework Programme) and then of a Vicenç Mut postdoctoral fellowship (CAIB PD/038/2016). He also acknowledges the Secretariat for Universities and Research of the Department of the Economy and Knowledge of the Autonomous Government of Catalonia for supporting the Consolidated Research Group 2014 SGR 645 (RIUS—Fluvial Dynamics Research Group).